FOA's monthly newsletter keeps growing so it seemed time for a little reorganization. We're adding a link "RETURN TO INDEX " after each section to return you to this INDEX so you can find things easier than by scrolling around. We've broken the sections into Features, Sections and Jobs with links to them to make it easier to find things here in the INDEX too. Here We Go Again: Can You Really Tap Fiber? 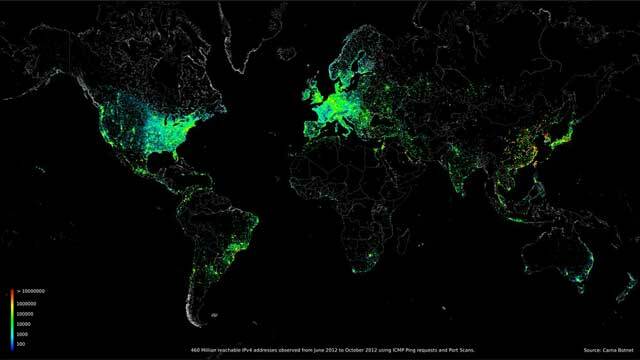 Where Does The Internet Connect Users? The Worst Aerial Cables In the US? The World? Use these links to read previous issues or use our "Google Custom Search" to look for specific topics on our website. Fiber to the home and fiber to the business are important for new services. Progress, especially in technology, is not without consequences. Developments in one area typically affect another and no tech developments have had a bigger impact than the growth of online services. As Internet usage grew from simple email and FTP services to Web browsing, to downloading video and the number of users expanded exponentially, the demand for bandwidth has driven expansion of connection speeds. The latest push is for "cloud services." The reason for the push to cloud services is, well, "cloudy." It can't be because local storage is expensive. You can now buy 1Terabyte disks for less than $100 and we remember attending a big press conference in the late 1990s where a vendor announced the first network 1TB storage cluster for less than $1million! It can't be for security either, because centralizing data could make it easier for hackers, as the data gets handled by many more devices and is always being transmitted from point to point along outside connections. And some of our experience with services that call themselves "cloud services" is they are just web hosting companies that see a new profit opportunity. But, for whatever reasons, "cloud computing" is the "next big thing." However it faces a major challenge. Today's enterprise networks typically operate at 100Mb/s to 1Gb/s, even for wireless. 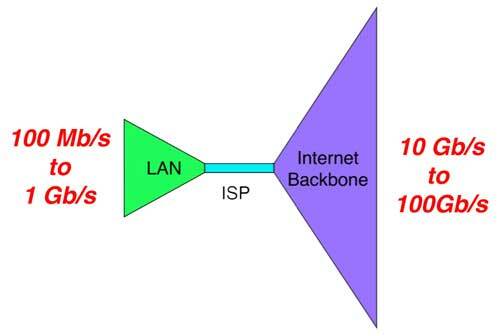 The Internet backbone operates at 10-100Gb/s. Data centers, real ones that is, not a bunch of PCs in the back room of a web hosting service, generally use 1-10Gb/s and are upgrading. But what about the Internet connection? 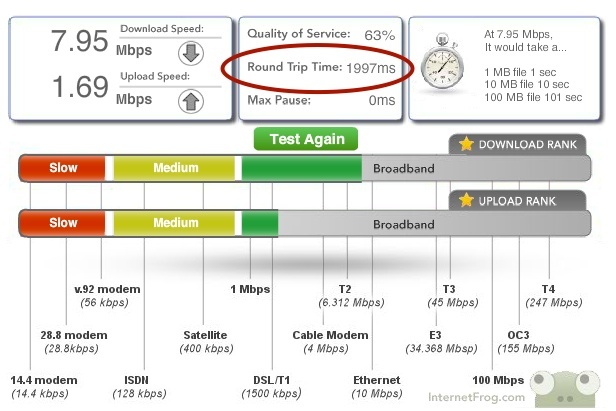 Most of what we hear about are FTTH and home broadband, where your connection speed can vary from <1Mb/s to 1Gb/s on broadband and all over the place on dial-up landlines or cellular wireless. Businesses are hardly any better off, they just generally pay a lot more. It was interesting to note that when TIA announced their move to new headquarters in the Washington, DC metro area, they bragged about getting 100Mb/s from their local cable company. 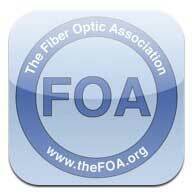 (FOA Newsletter, 3/13) Much of the news associated with Gigabit cities is the relocation of Internet businesses there to take advantage of the higher bandwidth. From the drawing below, it's obvious that when moving large amounts of data, whether it's using cloud services or downloading video for entertainment, that the ISP (Internet Service Provider) is the weak link. Here at the FOA "headquarters" in the Southern California mountains between LA and San Diego*, we have been testing the three alternatives to FTTH - cable modem, DSL and satellite services. If we were 10 miles North in Verizon territory, we could have FiOS FTTH service too. What have our tests shown us? First of all, it defines what you mean by a network - shared bandwidth. We've been running the cable modem and satellite services together for a year, but our cable modem service is 10 years old. We pay ~30% extra for faster cable modem service. But the reality is both the cable modem and satellite give us ~17Mb/s download speed in the morning when everybody is at school or work and about 2Mb/s when they get home. Yes, networks share bandwidth and each user must wait their turn. We installed DSL only a few weeks ago so we don't have as much data on the DSL but it seems less congested, a good possibility since it just became available and most people interested already have either cable modem or satellite services under contract. Do you know what a "ping test" is? Pinging means contacting a server and is a way to test network latency. I just tested our DSL line with a server in Los Angeles and got 70ms. More typical for our other services is about 200ms. But last week, when the network was running really slow, the cable modem ping test took ~2 to over 12 seconds! That's an incredibly long wait - intolerable if you are using cloud services and enough to create a glitch in downloading video. It's an indication of an overloaded network. Note: This shows another issue - Internet congestion - which can degrade performance anywhere in the network and reduce performance below "advertised" speeds. This can be caused by slow transmission speeds or insufficient switching capacity - the "off ramp" analogy for freeways often cited. The US FCC is studying this and finding it difficult to get data because of the fragmented ownership of the Internet. A preliminary report has been issued discussing the difficulty of finding good data. What about the 4th option for Internet access - cellular? We have that too, with an antenna tower perched on a mountain overlooking a freeway we can see from our office. On our smartphones, it usually tests as fast as the other options in the morning and we've used it in emergencies when our other services were not available, even to do webinars. But for all our uses it's way too expensive based on the cost structure for high data users. Obviously, video is the focus of the sales pitch, not the Internet. But when you read the fine print and call them, you can get Internet and VoIP phone for practically the same price as the previous landline phone bill. How could we refuse? It still uses the same copper wire into our house, but it connects to fiber less than 1km away. It benchmarks slower than either the cable modem or satellite, ~10Mb/s down and ~2Mb/s up, but seems more consistent, probably because most residents here already have one of the other services and few are interested in changing. But what puzzles us is how "cloud services" will be able to operate with such slow Internet connections - how people using their own devices will be able to use their corporate cloud services with such disparity in connection speeds and latency, even at the office but especially on the road or at home. Or how they will be able to compete with consumers downloading video. Then there is the cost. Our first cable modem connection was installed in February 1997, provided a 2Mb/s connection (which was fabulous at the time) and cost $40/month. 16 years later, our cable modem service provides ~10X faster speeds in the morning and the same in the afternoon for 50% higher rate (including the "turbo" option.) Other broadband connections, with the exception of Google Fiber, are comparable. What's absolutely certain is that the Internet does not follow "Moore's Law" for computers! 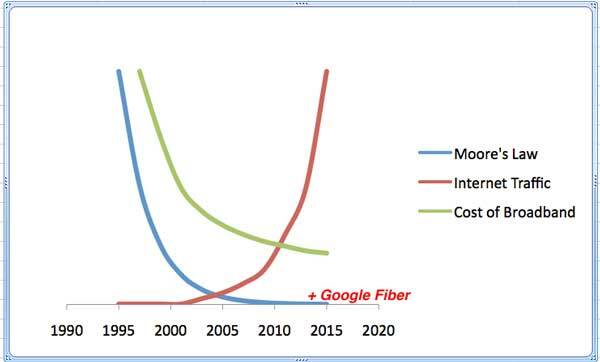 Relative costs of broadband connection compared to Moore's Law for computing and the growth in Internet traffic, all normalized. Comparing Internet connections to Moore's Law is certainly unfair. To take advantage of Moore's Law, most of us have been spending $1000 or more every 2-3 years to upgrade our computers but who do you know who has spent equivalent money on their Internet connection? We just keep paying $40-60/month for the same old service. Google Fiber is doing the Industry a service, showing what can be done technically and showing that users are Interested. Hopefully other Internet service providers are listening! NEWS: Verizon just announced 500Mb/s "FiOS Quantum" service for $310/month. Blazing fast but we suspect priced way beyond what most consumers will pay. We assume it is aimed at businesses since it's actually competitive with what GB service costs in Chattanooga. We'll follow up on this next month. For now, here is the Verizon page about the service. This whole issue seems to be a classic case of "lack of communications" - which would be humorous if it were not the case that we are in the communication business! The people promoting cloud services seem to publicly ignore the connectivity issues. Perhaps their focus on hyping their own business makes them blind to the obstacles it faces, but unless they have faster - and cheaper -connectivity everywhere, they are facing extreme obstacles. Cloud service providers, above all others, should be lobbying for faster Internet connections everywhere and more network capacity for all of us. 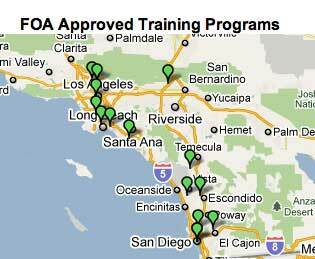 *FOA is a "virtual organization." We have never had a real building or office but instead use the Internet to allow collaboration with all our people around the world. It's a great way to run an organization since we do not spend money on "brick and mortar" instead of providing the best technical information and service online. 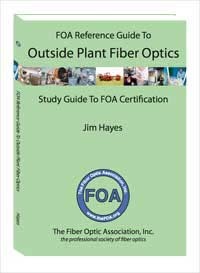 FOA has added a new technical page to our Online Guide covering how networks work and we have updated the "Datalinks" page. Fiber retains its market share as the backbone stays fiber. The report found that when comparing a traditional wired network of 100 users to a wireless network of the same size, the reduction in physical hardware -- LAN switches, discrete wireless LAN controllers and cabling -- makes the wireless network up to 50% less expensive. Most networks today consist of 80% wired users and 20% wireless LAN (WLAN) ports supporting multiple users. However, networks are being transformed to accommodate largely wireless users and will cost far less to roll out than traditional, predominantly wired networks, it stated. Dimension Data predicts future networks will be 80% wireless and 20% wired. Fiber however will retain its place as the backbone of the network. 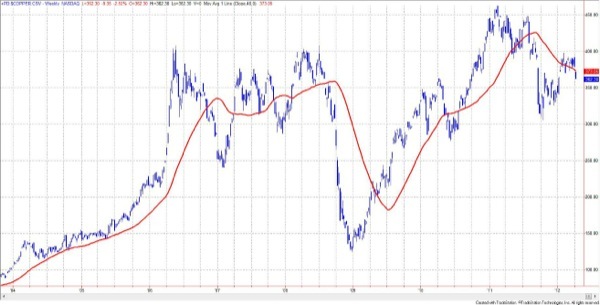 Are Big Banks Manipulating Copper Prices- And Indirectly Promoting Fiber? 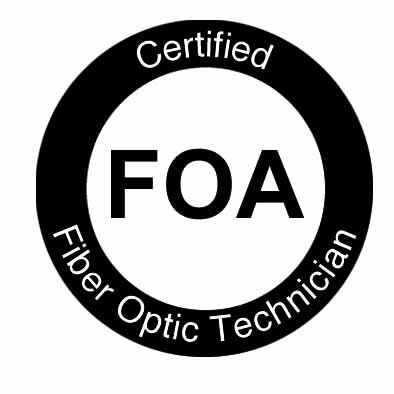 In recent FOA Newsletters, we have been discussing the emergence of OLANs, optical LANs that drop the 30 year old structured cabling model for something more modern, based on low cost components and architectures developed for FTTH - fiber to the home. 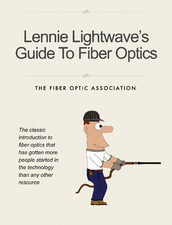 But using any fiber instead of copper has been influenced by the high price of copper. On the NY Times front page on Sunday July 21, an article on how big banks manipulate the commodities markets showed how the price of copper along with other metals can be manipulated by companies with lots of money to invest. The NY Times article focuses on how Goldman Sachs makes money off aluminum. There are international regulations on speculation in metals that prohibit holding metals to manipulate supply, but Goldman Sachs evades these rules by storing aluminum in 27 warehouses in the Detroit area and simply moving it from warehouse to warehouse. Since Goldman Sachs became involved with aluminum, deliveries were typically about 6 weeks but now stretch out to 16 months - and they charge warehouse rent for all that time. Using this tactic, they make money from renting warehousing space and charging for transportation as well as speculating on the price fluctuations. The NY Times estimates that Goldman Sachs makes about 1/10 cent on every one of the 90 billion aluminum drink cans used each year in the US and about $12 on every car made in America. "Goldman Sachs says it complies with all industry standards, which are set by the London Metal Exchange, and there is no suggestion that these activities violate any laws or regulations. Metro International, which declined to comment for this article, in the past has attributed the delays to logistical problems, including a shortage of trucks and forklift drivers, and the administrative complications of tracking so much metal. But interviews with several current and former Metro employees, as well as someone with direct knowledge of the company’s business plan, suggest the longer waiting times are part of the company’s strategy and help Goldman increase its profits from the warehouses." What about copper? Goldman Sachs may not be directly involved with copper - yet - "After a sustained lobbying effort, the Securities and Exchange Commission late last year approved a plan that will allow JPMorgan Chase, Goldman and BlackRock to buy up to 80 percent of the copper available on the market." As Goldman has benefited from its wildly lucrative foray into the aluminum market, JPMorgan has been moving ahead with plans to establish its own profit center involving an even more crucial metal: copper, an industrial commodity that is so widely used in homes, electronics, cars and other products that many economists track it as a barometer for the global economy. In 2010, JPMorgan quietly embarked on a huge buying spree in the copper market. Within weeks — by the time it had been identified as the mystery buyer — the bank had amassed $1.5 billion in copper, more than half of the available amount held in all of the warehouses on the exchange. Copper prices spiked in response. At the same time, JPMorgan, which also controls metal warehouses, began seeking approval of a plan that would ultimately allow it, Goldman Sachs and BlackRock, a large money management firm, to buy 80 percent of the copper available on the market on behalf of investors and hold it in warehouses. The firms have told regulators that these stockpiles, which would be used to back new copper exchange-traded funds, would not affect copper prices. But manufacturers and copper wholesalers warned that the arrangement would squeeze the market and send prices soaring. They asked the S.E.C. to reject the proposal." "The maneuvering in markets for oil, wheat, cotton, coffee and more have brought billions in profits to investment banks like Goldman, JPMorgan Chase and Morgan Stanley, while forcing consumers to pay more every time they fill up a gas tank, flick on a light switch, open a beer or buy a cellphone. In the last year, federal authorities have accused three banks, including JPMorgan, of rigging electricity prices, and last week JPMorgan was trying to reach a settlement that could cost it $500 million." "In 2011, for instance, an internal Goldman memo suggested that speculation by investors accounted for about a third of the price of a barrel of oil. A commissioner at the Commodity Futures Trading Commission, the federal regulator, subsequently used that estimate to calculate that speculation added about $10 per fill-up for the average American driver. Other experts have put the total, combined cost at $200 billion a year." "“Information is worth money in the trading world and in commodities, the only way you get it is by being in the physical market,” said Jason Schenker, president and chief economist at Prestige Economics in Austin, Tex. “So financial institutions that engage in commodities trading have a huge advantage because their ownership of physical assets gives them insight in physical flows of commodities.”"
The article is long, involved and sometimes hard to understand - and believe! - but it absolutely worth the time to read and understand. This topic comes up periodically as more news breaks about government surveillance, recently the new revelations about NSA and the Post Office in the US. Here are previous FOA Newsletters that discussed the topic: www.thefoa.org/foanl-06-06.html, www.thefoa.org/foanl-04-08.html. Fiber is also an important part of other surveillance operations, connecting video cameras and the high speed machines that inspect your mail or luggage at the airport. Wherever secure high speed communications are needed, you will find fiber. Countries with a clearly-defined national vision for broadband are significantly out-performing other countries, according to a new joint report released by ITU, the Broadband Commission for Digital Development and funded by network equipment maker Cisco Systems Inc. ITU analysts indicate that countries with a National Broadband Plan have fixed broadband penetration some 8.7% higher on average than countries without plans. In mobile, the impact may be even greater -- countries which have National Broadband Plans also have mobile broadband penetration some 7.4% higher on average than countries without plans. The report concludes that market competition also plays a strong role in boosting broadband penetration. Competitive markets are associated with broadband penetration levels some 1.4% higher on average for fixed broadband and up to 26.5% higher on average for mobile broadband, it states. “The Broadband Commission’s message about the power of broadband to transform each and every economic sector is now gaining global traction,” said ITU Secretary-General, Dr Hamadoun Toure. “Governments are realizing that broadband networks are not just vital to national competitiveness, but to the delivery of education, healthcare, public utilities like energy and water, environmental management, and a whole host of government services. 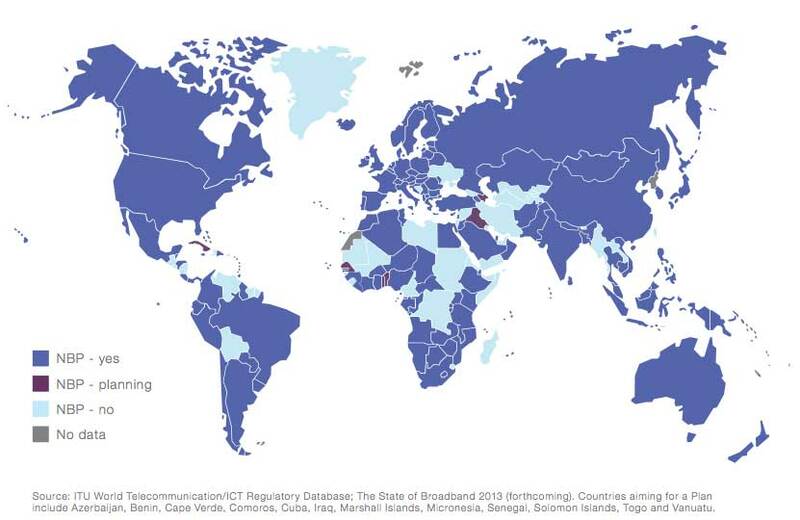 This map shows that most countries now have a national broadband plan. An amateur computer user decided to find out as a science experiment, so he tried to ping every user in the world. Here is the map he created of the location of the users of the Internet. 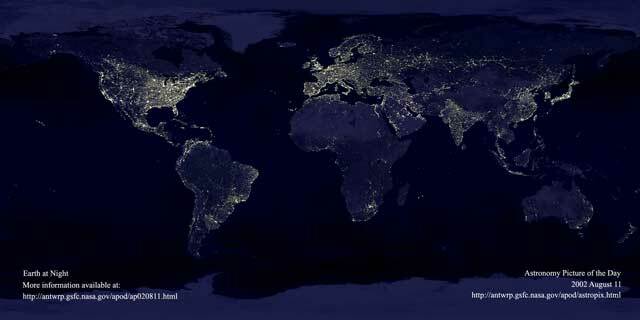 That should not be surprising if you remember the map FOA created of submarine cables using the NASA view of the world at night which shows where people live. And adding the submarine cables that connect us. Intel is getting closer to commercializing their silicon photonics technology with a 100Gb/s transceiver. 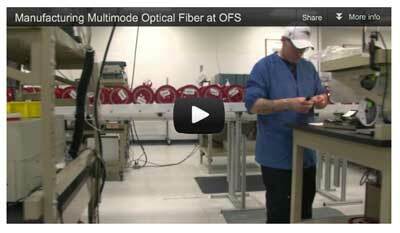 Indications are that Corning is the partner for the optics and it is an unusual combination - WDM on multimode fiber. This is a completely integrated module that includes silicon modulators, detectors, waveguides and circuitry. Intel believes this is the only module in the world that uses a hybrid silicon laser. The demonstration was made via a video during Rattner’s keynote at the Intel Developer Forum in Beijing. Rattner and Silicon Valley luminary Andy Bechtolsheim discussed this technology in this video. Probably learning from their experiences in Kansas City, Google Fiber has hired a well-connected local politician to head their new Austin, TX operations. State Rep. Mark Strama is leaving political office to work for Google Inc. on its Google Fiber operations in Austin. Strama, 45, a Democratic legislator representing northern parts of Austin since 2005, starts the job with Google on July 15. Strama said his new job means he won’t run for mayor of Austin, as political observers had expected. In the new job, Strama will be the top Google Fiber official in Austin, charged with helping formulate the company’s plan to plan, build, sell and run its proposed ultra-high-speed broadband fiber-optic access network here. KSAs...Knowledge, Skills and Abilities...a list of special qualifications and personal attributes that you need to have for a particular job. These are the unique requirements that the hiring agency wants to find in the person selected to fill a particular job. A primary purpose of KSAs is to measure those qualities that will set one candidate apart from the others. In federal personnel guidance, KSAs are defined as the factors that identify the better candidates from a group of persons basically qualified for a position. How well an applicant can show that he or she matches the position’s defined KSAs determines whether that person will be seriously considered for the job. Read the whole page from the CDC website. This email showed up recently. By volume, we assume they mean big volumes (10K+), but under any circumstances, the prices are LOW! Here is the link to the S-G press release. 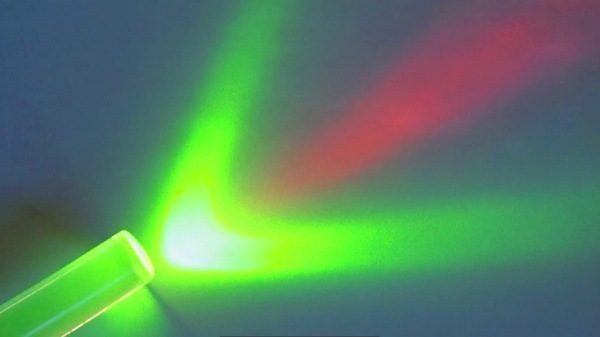 Described in the journal Science, the technology centers on donut-shaped laser light beams called optical vortices, in which the light twists like a tornado as it moves along the beam path, rather than in a straight line. Researchers at Boston University are investigating the possibility of using spatial modes of fibers to enhance data capacity. With collaborators from OFS-Fitel, they have demonstrated using the orbital angular momentum (OAM) of light to create orthogonal, spatially distinct streams of data-transmitting channels that are multiplexed in a single fiber. Over 1.1 kilometers of a specially designed optical fiber that minimizes mode coupling, we achieved 400-gigabits-per-second data transmission using four angular momentum modes at a single wavelength, and 1.6 terabits per second using two OAM modes over 10 wavelengths. These demonstrations suggest that OAM could provide an additional degree of freedom for data multiplexing in future fiber networks. Check out the way the cables are bundled so they don't hang all the way down to the sidewalk. This one is a potential winner! Did you ever see such a mess? Send us your photos of the worst cables you've seen and we'll give a prize to the best photo - a set of FOA books. The value of an education has always been a topic of discussion - and controversy. Here in the US, there has been a lot of discussion over the tactics of "for profit universities" and student loans, centered around will a graduate be able to pay back student loans. A brief web search found similar concern in other countries too. Recently a survey of payback for a college degree provided some sobering numbers. For high paying jobs like marketing, there was a ~6 year payback. Medical degrees were ~10 years and for journalism, almost 32 years! Not everyone wants or needs a college degree. In many professions, an associates degree from a community or technical college and appropriate certifications can provide lucrative employment. What's needed is some data on earnings. The Chancellors Office of the California Community Colleges is making available for the first time comparative information about the earnings of recent graduates who received an award in a specific program area at California community colleges. The Salary Surfer uses the aggregated earnings of graduates from a five year period to provide an estimate on the potential wages to be earned two years and five years after receiving a certificate or degree in certain disciplines. This tool also provides information on which colleges offer programs in those specific disciplines. While it is useful to know the potential earnings after receiving a certificate or degree, other important considerations, such as personal interest and skill, should be used in selecting an educational program. We've added new lecture on Wavelength Division Multiplexing, joining other new topics like the characterization of optical fibers for CD, PMD and spectral attenuation, important issues for long haul systems and DWDM, POF and OLANs.. When Was Your OTDR Last Tested And Calibrated? FOA was recently sent some traces to comment on where the traces obviously had some inconsistencies. Turned out the OTDR was last tested and calibrated over 3-1/2 years ago and was still using the original software. The connector on the OTDR showed wear (high reflectance) and the software was inconsistent. Most test instruments are expected to be calibrated once a year, two at most. So check your calibration certificate or firmware update and make sure your instrument is working properly. 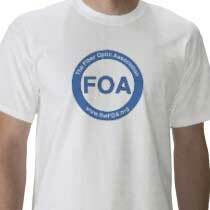 Autotest for OTDRs is all too often behind the problem when people call FOA for advice on testing. 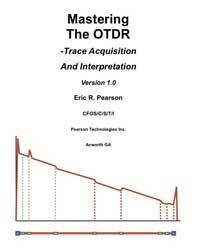 Operators who know little about OTDRs are trained to turn the unit on and hit the autotest button. More often than not, the measurement is all wrong. But JDSU may have the right idea - autotest by application. They are introducing OTDR software just for the wireless FTTA (fiber to the antenna) application. Within the limits of the applications, the OTDR should be able to set up and take data properly. Has anybody tried it yet? Here is the JDSU announcement. On July 23rd, the FTTH Council filed a petition asking the FCC to adopt a Gigabit Communities Race to the Top program, which has the potential to inject $1.5 billion into the deployment of all-fiber networks. Many community anchor institutions are eligible to receive funds to support their broadband needs through separate mechanisms-schools and libraries through the E-Rate Program and hospitals and clinics through the Rural Health Care Program. The petition filed on July 23rd, asked the Commission to devote a small portion of existing Universal Service funds to reward communities who address these multiple community connectivity issues holistically, ensuring the most "bang for the buck" by making that planning and deployment more efficient and cost-effective. To read more about the petition, please go to the FTTH Council website or click here. Our presenters will explain more about the petition and how you can help its adoption. Join the Fiber to the Home Council for the FTTH 2013 Conference & Expo, the largest event of the year in the North American FTTH industry. This year’s Conference & Expo will take place September 30 – October 2 at the Tampa Convention Center. Be sure to register by July 26 to receive early bird discounted rates. The 5th Edition of FTTH Council MENA Annual Conference 2013, Marrakech, Morocco, 27-28 November 2013. Passive Optical LANs are changing the way we think about designing the local area network. Large enterprises and government customers are adopting this technology due to the immediate and long term benefits such as simplified IT management optimized bandwidth handling and the sustainable benefits achieved by reducing energy consumption when compared to current IT switching solutions. 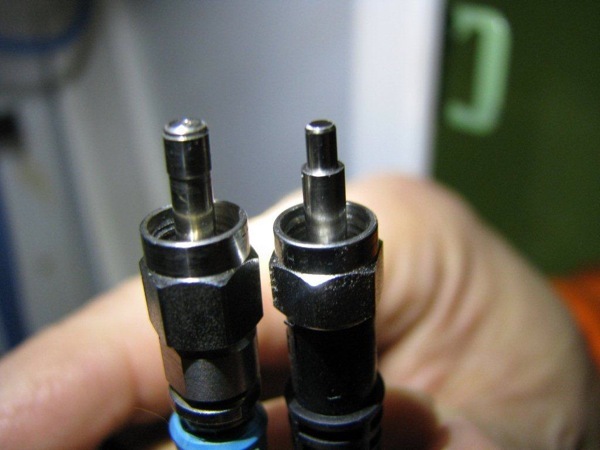 FOA has added a page on Connector Repair to our Online Guide. #758- African Advanced Level Telecommunications Institute (AFRALTI). Q: I want some technical literature and practical tips on “Protection of OSP from lightening”. Please help. I've seen the aftermath of lighting strikes where a cable was simply in the way of the lightning and over 100m of the cable was damaged by the high current affecting the armor. If lightning strikes a cable with conductors, there is little you can do to protect the cable, so the focus is on protecting the electronics. Q: I'm looking for cable prices for increasing numbers of fiber of the same quality in a cable. I've been given a rule of thumb: doubling the number of fibers (should I say strands or fibers, BTW in Enlish?) increases the price by 10-15%. Is this correct? A: Unfortunately, the question is too simple or the answer is too complicated, or both! 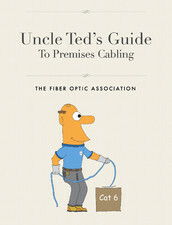 Today, fiber is cheap, or as Rich Mack of KMI likes to say, "fiber is cheaper than kite string or fishing line." In large quantities, the price of fiber is ~ 1 cent US per foot - ~3 cents/meter. Cables, however, are made of plastics and metals that are not so cheap, tied to petrochemicals, and require some labor to make and deliver. The price of cable is very much a matter of volume. Distributors sell in smaller quantities at "list price" while a telco will buy directly in large quantities of scheduled deliveries at a negotiated price. It's also a matter of cable design. A simple loose-tube cable to pull in conduit is based around a somewhat standard design of x number of tubes with 12 fibers each. Small fiber counts will require some plastic inserts to replace the unneeded tubes so adding fibers means replacing tubes, costing somewhat less than just adding tubes of fibers. Aerial cables need strength members for the tension, regardless of the number of fibers. Armored cable is similar. Add to this variables in where the cable is made and shipping costs which can be substantial but are just based on weight and volume - not much different for cables with more fibers. Installation costs are another issue. Pulling a cable with x or 2x fibers is about the same, but the cost of splicing and most other hardware is proportional to the number of fibers. We'd say 10-15% for 2X the number of fibers is probably low, 100% too high and the right number will vary somewhere in the middle depending on the cable design and volume. And the clout of the buyer! Q: I have a question regarding the bend radius that was asked in my class. We understand the bend radius as it pertains to pulling cable. One of my students wanted to know if it still applies to individual fibers after the jacket has been stripped off. A: Excellent question. 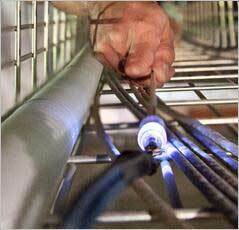 The cable rules come from manufacturers who must make cables to handle the stresses of installation. When you get to the fiber level, the situation will depend on the type of fiber and the application, e.g. in splice closures or patch panels and the type of fiber. When splicing SM fiber cables together, the splice closure is designed to protect the fibers from stresses which can cause loss or long term unreliability. 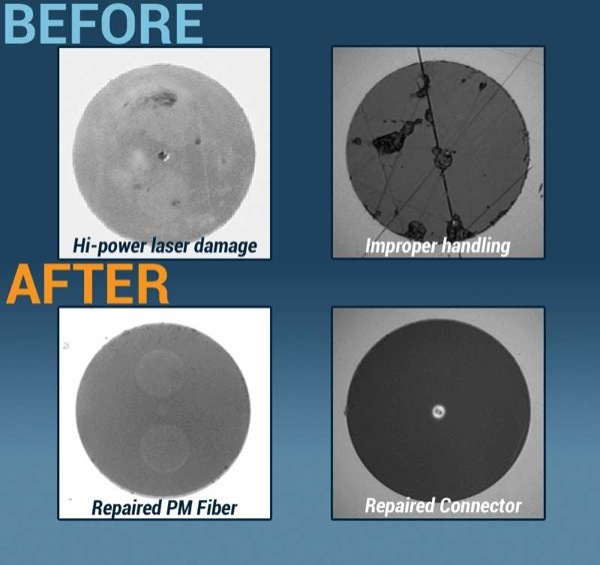 When SM was mostly used at 1310nm wavelength, the closures were designed for about a 3" diameter fiber loop for the 250 micron buffer fiber. With more use at 1550nm where bending losses are more severe, a ~4" diameter loop was adopted. Thus it was the fiber and closure manufacturers who jointly developed a de facto standard. For tight buffered fiber, mostly MM in premises cables, the issue was how fibers would be routed inside a box with connectors installed on each fiber. Here a minimum radius of ~32 mm was common practice. All this, of course, predates bend-insensitive fiber. With those, fiber manufacturers seem to be competing to see who can abuse their fiber the most! While BI fibers do not have as much stress loss, the long term reliability of a tightly bent fiber is still questionable so conservative guidelines should be followed. BI fiber is very popular for indoor applications, but should still be handled with care. 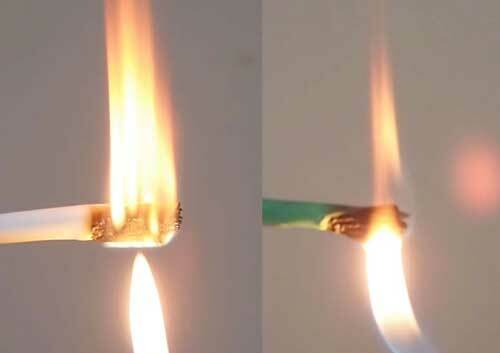 It has made possible some new ultra-small cables which are easier to install in buildings. 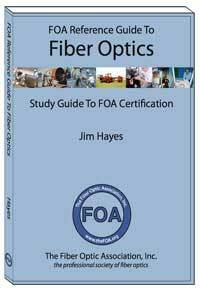 Q: I have the ITU G.652 standard and the 662 standard as well, but these address more of the fiber and component system requirements, characteristics and performance without any test convention related info. 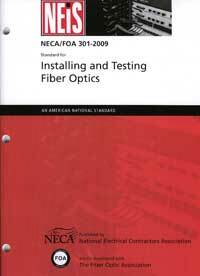 Are there any fiber based system test references/standards you can recommend? A: Most standards are written for component manufacturers, not system users. 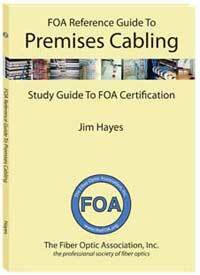 Test standards generally refer to the cable plant, not the system. For the cable plant, you do a "loss budget" which estimates the loss and then do an insertion loss test to see how test results compare to the loss budget estimate. The system manufacturer will specify a cable plant loss budget to be less than the link power budget to leave some margin for system operation over time. Note: This seems to be a problem that has not been addressed by standards. 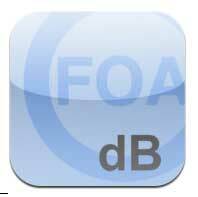 FOA is considering creating a "datalink" standard to address the need. Q: What are good values to set a OTDR to for PASS/FAIL? End threshold (depends on whether you 1) use receive reference cable which would be a normal connection loss or 2)the length of the cable and the noise floor of the measurement. Best to make sure the trace is not noisy to the end and have 2-3dB from the cable backscatter level to the noise floor. Q. Have you heard of high reflections causing issues with short SM links? If so, at what speeds and levels of reflection? The standards only require -26dB for SM, but does that only work for lower speed applications? TI have noticed with higher speed digital systems that reflection can cause issues. A: We started hearing about it on campus type applications of Gigabit Ethernet using SM ~1km long - that was a decade ago. The first time it was with field terminated SM (I's bet using MM techniques) that was probably -20dB reflectance. Cutting the field terminations off and splicing pigtails on the cable solved the problem. We've seen other similar instances, all with short SM links. We believe the problem was not with the commonly accepted explanation, interference with the laser transmitters (which may affect the linearity of analog transmitters), but multiple reflections (like you see with ghosts on an OTDR) adding to receiver noise. Each connection can add to the reflectance. Higher speeds makes it more problematic because the power budgets are lower but the background noise remains fairly constant. It appears to be a problem also on FTTH and OLAN PONs. Most of these networks are now specifying APC connectors to stop reflections. Q: Have you seen this connector on the left side of the picture before? It looks similar to an SMA 905 connector but it has a ridge around the ferrule. I have a customer that wants to be able to test their existing cable that has these connectors. Do you have any ideas on how I can test this cable? A: The connector on the left is a SMA 905 and the one on the right is a SMA 906. The ridged design was used by some manufacturers to make it easier to machine - only a small part of the ferrule was necessary to grind to the exact 0.125 inch diameter and it reduced friction when inserting it into mating sleeves. Check the diameter with a micrometer and it should be 0.125 inch. Testing these can be tricky if the fiber is a large core PCS fiber. First, check it with a microscope if you have one with a SMA adapter. Otherwise, try a jewelers loupe and compare it to a 125 micron OD fiber to see if it is indeed larger. If so, it can be tested with a hybrid patch cord as you describe. The problem may be finding a SC or ST connector that can accommodate the larger fiber. Are the cables that need testing using SMAs on each end? Or just one end? Testing with a power meter with modular adapters that can handle SMAs makes it easy. Use a single-ended test to check connectors on each end. (5/13) Q: Is there a publicly available document that defines the twelve TIA/EIA colors for fiber conductors? 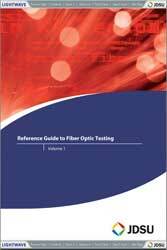 "We made a study to determine how an OTDR bidirectional test corresponds to the splicer evaluation (splicing the same fiber type to reduce errors from mismatched fibers). We determined that if we want to have a splice attenuation less than 0,15 dB (OTDR) , we have to keep the splice machine evaluation data under 0,04 - 0,05 dB (Splicer). The statistic on the field shows 1-2 splices abouve 0,15 dB/ 1000 splices (OTDR). So, if the splicer indicates 0,0 - 0,05 dB, we can believe it. The difference by testing with OTDR will be about -0,01 to +0,05dB. 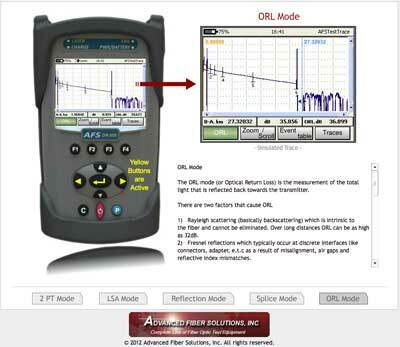 But if the splicer indicates 0,1 to 0,2 dB it could be expected 0,1 to 0,3 dB(OTDR)." Q: In FTTH, how can a splitter connect users who have different connection speeds, like 25, 50 or 100Mb/s? A: This is confusing to many people, I think. The difference between the physical layer of a network which carries the traffic and the management of the traffic is confusing. All networks share bandwidth. 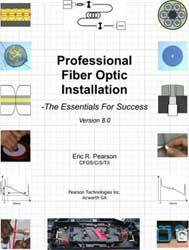 In fiber, it is done by time-division multiplexing or wavelength-division multiplexing. The confusion comes with the sharing part. If a GPON system provides 2.5Gb/s to 32 users, each user does not have 2.5Gb/s/32=78.125Mb/s bandwidth available; that approach is too simple-minded. In fact, the 32 users "statistically" share the bandwidth. Because all users are connected at the same speed - 2.5Gb/s and the data is handled in packets as each subscriber uses the network, the use is randomized. If some users is active but others not, which is how it works in the real world, the network utilization is continually changing. Faster connection speeds reduce the time each subscriber is tying the network up. 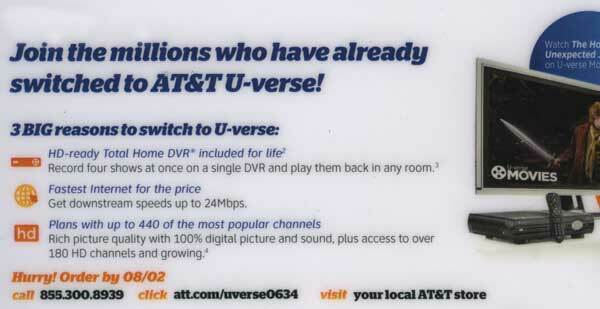 When you "buy" a connection at 50 or 100Mb/s, you are paying to be "throttled" or limited. In fact, it's smarter from a provider point of view to charge per total bits of usage and provide each user with max bandwidth as it leads to lower latency and better customer service. 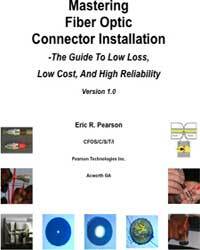 Q: What does it cost to install fiber optics? A: That's a tough question. It depends on the geography - not just what the area looks like but where it is. An installation on a big city will be much more than a rural installation. Burying cable directly is less than installing conduit and pulling cables into it. Aerial cable can be cheaper if the poles are already in place. Underwater costs vary depending on the depth and length. When recently asked this question, we found an interesting US Dept. of Transportation document online that is a database of projects which shows the varieties of costs. Read it here or download as a xls file. Q: Is it recommended to have locate wire in the conduit with the fiberoptic cable? A: Outside plant buried cable is usually buried with a locating wire or tape to allow finding the exact location of the cable in the future. If the conduit is plastic, a copper wire inside the conduit will work. Another option is to use special conductive locating tape which is buried above the conduit or direct buried cable (armored cable which can be buried without conduit - sometimes the armor is metallic and can be used for locating it). 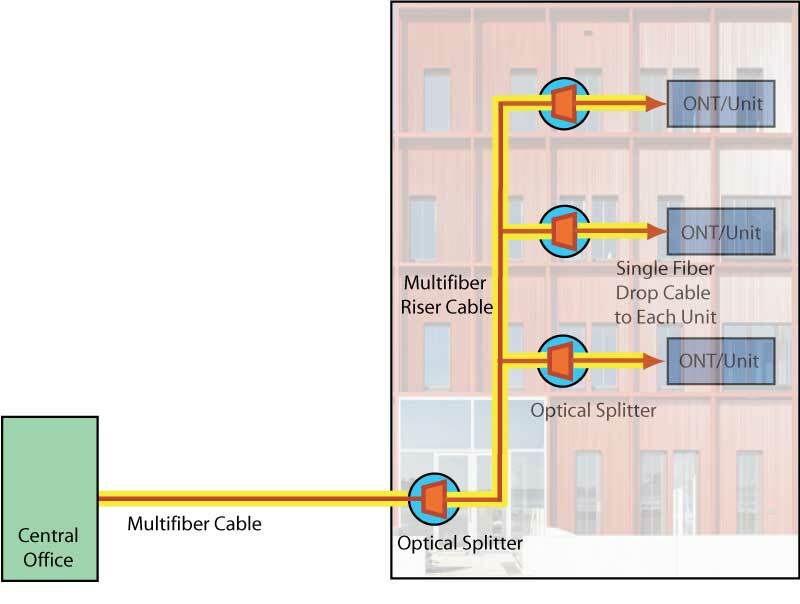 Q: Can I use any SM fiber at any wavelength? A: SM fiber comes in several varieties and many can be used at any wavelength between ~1280 and ~1650nm. 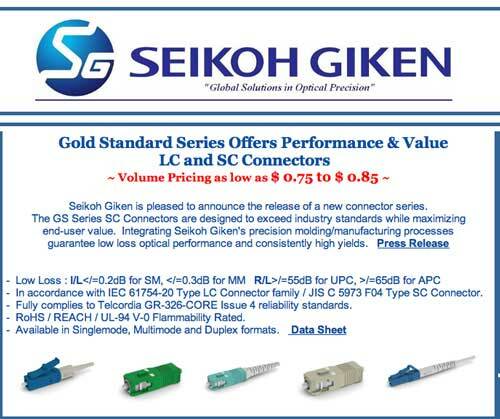 For example G.655.D fiber, designed for long links at 1550 and DWDM, will NOT support the 1310nm window in the G.652.D fiber ( 28E+ fiber). The cutoff wavelength is approx. 1450nm. 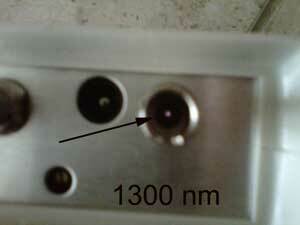 SM fiber designed for use at 1310nm will have a cutoff wavelength of ~1260nm. Have You Noticed The "Halo Effect"? We've written before about "bend-insensitive" fibers that use an optical ring around the core to prevent light loss when the fiber is stressed. 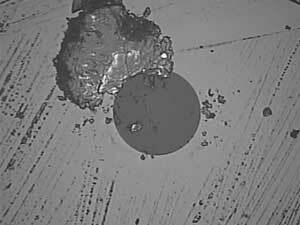 But when inspecting connectors on BI fiber, you may have seen a "halo" around the core like this. 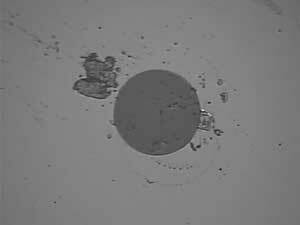 OFS has created an application note that discusses this effect, caused by light in the fiber or from the inspecting microscope. It seems some installers have gotten confused, thinking they are looking at the whole core of the fiber (62.5/125 fiber perhaps) instead of the 50 micron core and the halo caused by the optical "trench" around the core that provides the bend insensitivity. OFS Application Note On The Halo Effect. Watch the TIA video here. 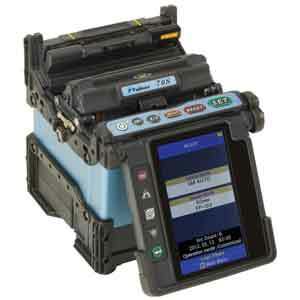 The Fujikura 70S is a fully ruggedized, core alignment fusion splicer, providing consistent, low loss, splice performance. The new design streamlines the steps required to complete splices, resulting in greater productivity. “Configurable automation” features allow you to customize the operation of the machine to best suit your particular splicing technique and process. A new programmable “automatic wind protector” closes and begins the splicing process after clamping the fibers in position or pressing the “set” button. Once the splice is completed, not only is the wind protector opened, but one of the sheath clamps, you decide which, is automatically raised making removal of the fibers fast and easy! Similarly, the "clamshell" design of the tube heater clamps the splice splice protection sleeve and applies heat from both sides which results in a reduced shrink time of just 14 seconds. This is a great new opportunity for that rare person who has both strong fiber optics and technical background as well as excellent communication and people skills. Someone coming from a technical sales background could be a great fit, or someone who is strong technically, but also basically enjoys social situations, talking with customers, clients, and supporting their technical design needs. This position is quite unique in the industry, and is something that hasn't "really been done before" in the fiber optics field. So, it is a tremendous growth opportunity for someone who has a leaning towards sales and marketing, coming from a strong technical base. This is probably not a job for a PhD, unless they are very certain that they want to be doing work with a high-level of customer interface. The Data Communications business unit of my client has an opportunity for a Field Application Engineer in Menlo Park, CA to support a key customer at their location. The business unit has determined that, for key customers, having knowledgeable engineering presence on-site is critical to long-term success in supporting the customers’ product and design needs and in advancing the Company’s interests. The resident engineer will serve as a technical resource for our customers’ engineers and program / platform managers by providing technical expertise, design work, product application information, and general support for strategic customers. The resident engineer will be a significant interface between Company’s sales and engineering organizations and customers. Support a cross-functional, global team specific to the customer. The team may consist of a Program Manager, Quality Engineering, Logistics, Procurement, Operations, and Sales. Represent and be an advocate for the customer. Field Service Technicians with experience in telecommunications, CAT5/CAT6 cabling, T-1 Circuits, POS installation/break/fix, structured cabling, as well as extensive knowledge of the 25 pair color code in the Bay Area. This position requires candidates to be eligible for Security Clearance. systems; high-speed electronic coding and interleaving schemes; and network-standard interfaces. The group works with government and industrial partners to help expedite the transfer of capability to operational systems. Description: Optical fiber splicing and re-coating, including equipment set-up and maintenance, and proof-testing of fiber splices; development of splicing recipes for specialty fibers; documentation of splicing protocols and testing results. 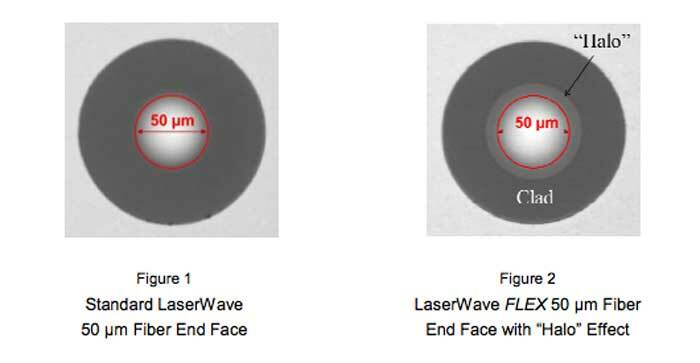 Basic optical performance characterization of electro-optic components, including measurement of insertion loss, polarization, power, optical spectrum. Ability to work as a member of a high-performing team in support of a rapidly-paced, priority program. · Graduation from a two-year day technical school or its equivalent and a minimum of two years of applicable experience is required. · Prior experience with optical fiber splicing, re-coating and proof testing and familiarity with supporting technologies are required. 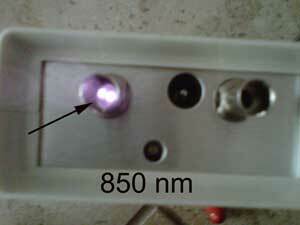 · The candidate must have a working understanding of basic optical characterization equipment. · The candidate must be well organized, detail oriented, exhibit good manual dexterity and be able to work on more than one task simultaneously. · U.S. Citizenship is Required. · Ability to obtain and maintain a Security Clearance is Required. Any candidate interested in this position should send their resume in word format to the e-mail address below. A national training company has a need for a dynamic, energetic, and self-sufficient classroom instructor. We have a need for an instructor to deliver a 24 hour telecom T1 / T3 Test and Turn Up hands on lab course in Northern CA. We need a person with a working knowledge of T1 / T3 test and turn up and capable of sharing their expertise with others and developing hands on lab exercises and working with in class lab equipment. Position is a 1099 part time contractor position. Please send your resumes and contact info to the FOA at info@thefoa.org for forwarding to the school. If anyone knows of any OSP Planners, Field Engineers or Design Engineers, contact KCarbone@jobs-staff.com. I have a lot of positions available nationwide. The ideal Sr. Director Sales, High-Reliability Optoelectronics Solutions candidate possesses +8 years of business experience and a proven track record of supporting a growing business in progressively more challenging roles ideally at companies +$25M in revenue. This experience includes +4 years of successful related optoelectronic or electronic industry solutions sales management background in senior sales management roles in emerging growth technology companies with positive industry relationships and contacts. Preferred employer industry domain sales experience in order of preference: optoelectronic components & assemblies; high-speed electronic components & assemblies; high-performance photodiodes, detectors and assembly solutions experience is a plus. Candidate ideally possesses a wide array of customer industry domain market experience to include: Medical, Commercial, Test & Instrumentation, Mil/Aero, Federal (e.g., FAA, FDA, Homeland Security). Candidate is experienced in selling solutions, not just equipment or components from a line-card, candidate possesses strong experience in managing direct sales, indirect sales channels, and strategic partner relationships, as well as consultative selling of technology solutions. Executive Advantage Group, Inc. has recently been exclusively retained again by our client Advanced Photonix, Inc. (NYSE, Amex: API) to conduct a new Senior Director, Sales - High-Reliability Optoelectronics Solutions search. On the search specific website's - The Position Profile - page there is a link to - download the Detailed Position Spec. If you are aware of a stellar candidate that would excel in this role based on the individual brief position descriptions below please have them send their resume to me, Michael A. Rothstein, Managing Principal, Executive Advantage Group, Inc. I am currently networking a position with Honeywell Aerospace for an R&D Scientist III within the community it appears you have some authority. Please consider taking a look at the opportunity within the link provided and feel free to connect me or pass the information along to anyone in your network you feel might qualify and have interest. Honeywell Aerospace Overview Video: http://www.youtube.com/watch?feature=player_embedded&v=F7UBlqQfex0#! My client is also seeking to immediately fill a Senior Scientist/Engineer position in the area of Applied Optics, Optoelectronics and/or Electroptical Devices for Data and Telecommmunication industries, or someone with extensive experience in Optical Devices for these applications. The ideal candidate will have a proven track record in one or more of the following areas: Applied Optical or Electrooptical device & component development, Optical modeling and simulation, Optical physics or Non-linear optics. Additional experience in fiber optic/electronic interface modules, devices & applications, data-rate characterization and/or relevant package integration will be a definite plus. Educational background should include a PhD in Optical Science, Optoelectronics, Optical or Electrical Engineering or a related discipline, and five years or more in the field of applied optical device technology or application development. Masters degree in Optical/Electrical Engineering with 10 years of experience is equally suitable. The candidate will be part of a multidisciplinary team of chemists, material scientists, optical scientists, application and process engineers to develop and deliver suitable technology platforms that provide optoelectronic connectivity solutions the client. In this role, the candidate will be instrumental in developing devices, integration technologies and packaging schemes to extend modern high speed data-rate electroptic products. The candidate will also be responsible for developing customer relationships with leading edge technology companies to nurture new opportunities and an innovative product pipeline for the organization. The candidate will be part of a global staff. The position is located in Menlo Park, California. The candidate must be a dynamic, self-starting individual with a strong bias for action and impact. A demonstrable track record of applied creative thinking and innovative skills. Strong people and technology leadership skills are essential to accelerate development efforts toward achieving state-of-the-art technology targets. Working with Internal Business units and external customers will be a critical component of this position, to construct customer-based directives that drive optical connectivity solutions forward in data & telecommunication industries. The candidate should have strong networking skills (local to global) and they will participate (in different roles) in strategy development, technology assessments and technical project & portfolio management.